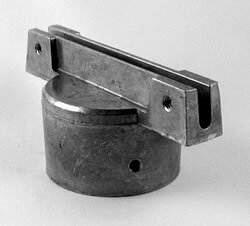 This bracket can mount a flat or extruded blade on a 2-3/8 inch round post--the most common diameter round posts. If you don't see what you want on our website, we may be able to special order what you need. Call us toll-free: 1-888-931-1793.